I've been MIA from the blog for the past few weeks due to a laptop that didn't want to cooperate but I'm so glad to be back and linking up today with Rachel from Oh Simple Thoughts and Madison of The Wetherills Say I Do for another fun Coffee Date! I absolutely loved participating in the last virtual coffee date and was thrilled when Rachel invited me to link up this week! It's such a wonderful way to share with other women what the Lord has laid on our hearts. I was so encouraged and blessed reading the posts last time by other small business owners, bloggers, and like minded women of faith. So with my cup of coffee in hand, I share with you the thing that has been on my heart the most in the last week. "Abide in Me, and I in you. As the branch cannot bear fruit of itself unless it abides in the vine, so neither can you unless you abide in Me. I am the vine, you are the branches; he who abides in Me and I in him, he bears much fruit, for apart from Me you can do nothing." I'm ashamed to say that making time to be with the Lord in my every day life would ,more often than not, end up on the back burner. As a new wife, business owner and just an all around busy person, I never rearranged my priorities and put Him at the very top of my list. 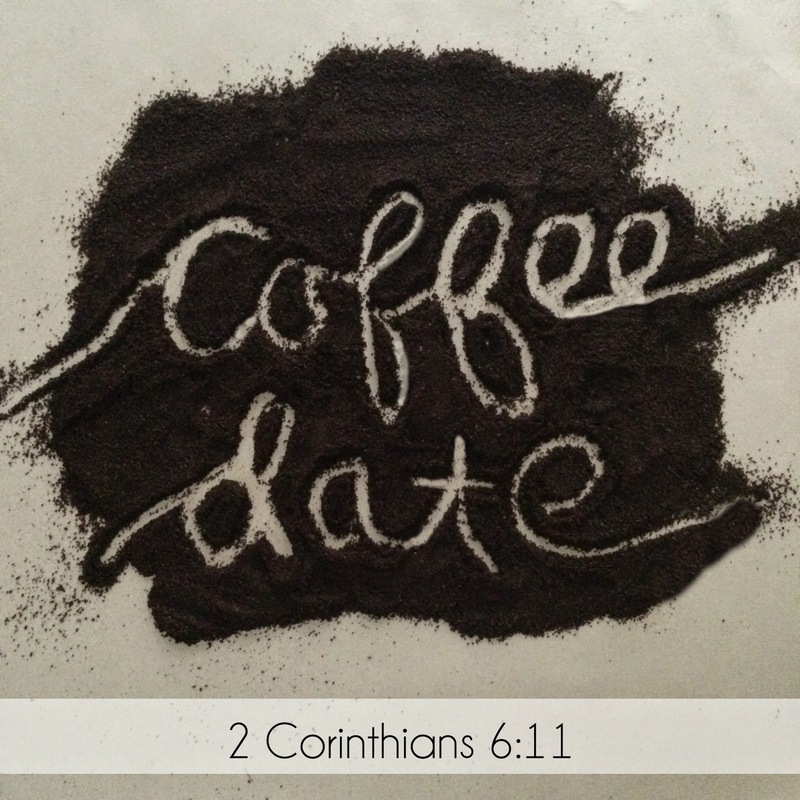 Lately as I make my devotion time a priority I can see a huge difference in how my day goes. I love the quiet moments in the morning where I take those few minutes to ask the Lord what His plans are instead of giving in to all the other distractions around me. I so long to abide in Him daily and not in myself and I'm so thankful that my Jesus is always faithful to gently draw us back to Him and direct our steps for us! Thank you Rachel and Madison for hosting another virtual coffee date and making a time for everyone to be real and share what's on their hearts..
Don't forget to go read the other posts and see what the Lord is sharing with them! I hope your Friday is blessed! What a sweet story about your grandmother and an amazing perspective to have! Our lives are so centered around to do lists and what we have to get done, I can’t think of a better way to start the day than by asking the Lord what His plans for the day are! Thanks for linking up sweet friend! I love the story about your grandmother, and it’s a great reminder to me to be more intentional in my time with the Lord. I love that statement that your grandmother says. That really hit home with me! I so often tell Him what I need to get done or what I want. But it’s not about me! I just need to be still and listen. Let Him tell me what to do each and every day. Thank you so much for sharing your heart! I totally agree with everything you say–from how important it is to spend time with Him in the mornings to the fact that I a lot of the time, that is the first to go. I read something on pinterest that I have been thinking about lately: you never put off your first priority. It’s a reminder to me that He is my FIRST priority–not checking my emails or even work. That priority, the first one, always gets done. Thanks for this. I can definitely relate. thank you for sharing! i have had such a struggle finding a consistent quiet time during this first year of marriage – it’s hard when there is always something to do! but i know the reason i struggle is because i’m putting everything else before Him. and i also know that on days i do spend time in His word, i can feel it. i can feel life and i see how it makes a difference. now i just need to lay down my bride and busy life and put Him as priority 1!